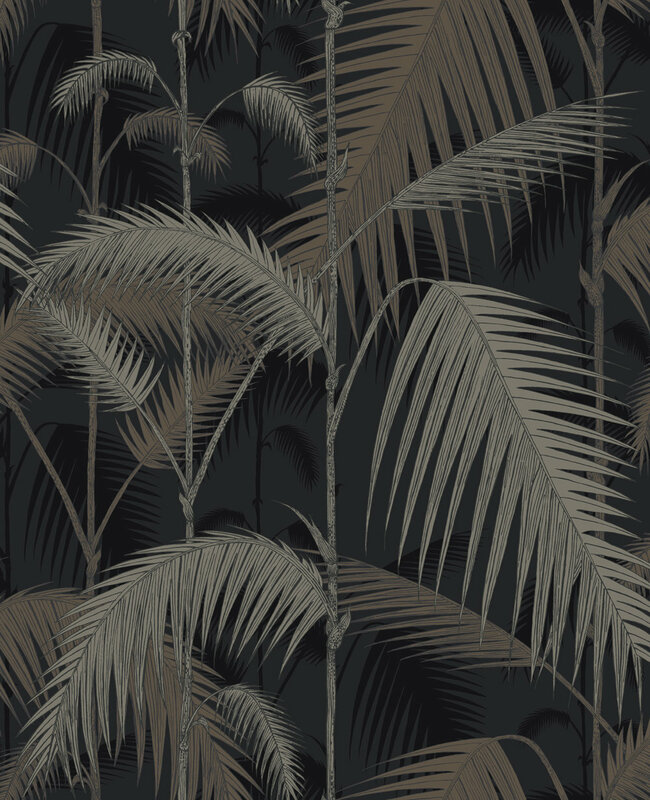 A multi layered design of palm leaves creating a dense jungle of foliage, shown here in stunning metallic effects on a black background. 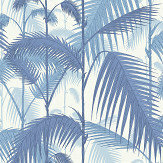 More colours are available. Please order a sample for true colour match. Paste-the-wall product.